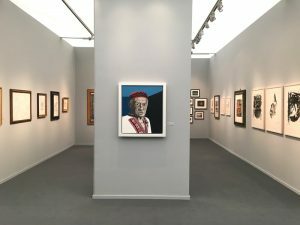 Daniel Blau is pleased to present Trophy Heads, a selection of portraits, and Henri Sauvaire’s pictures of the Dead Sea region at Frieze Masters this year. 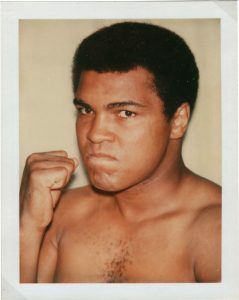 A trophy is a souvenir of an achievement or a prize awarded in honour of success. Each collector of art is guided by a unique vision and seeks out his or her own ‘trophies’ – those scarce artworks that bring pleasure, satisfaction and pride and that inspire admiration and even envy in others. Trophy Heads is an exhibition of exceptional portraits in a range of media, including drawings, paintings and photographs. 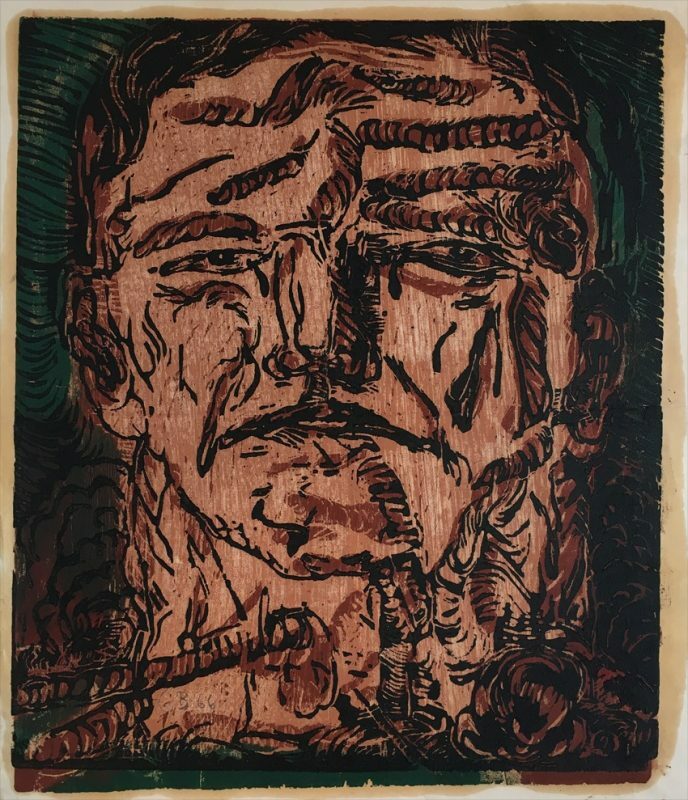 The gallery is delighted to show Georg Baselitz’ iconic 60s woodcut “Großer Kopf”. 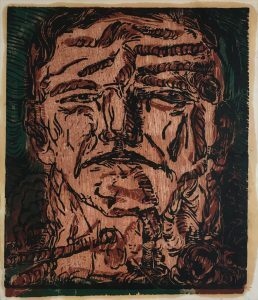 Baselitz inked each plate individually, sometimes in several colors resulting in a monotype effect. Our version was printed from three plates and is a real treasure as these prints very rarely come on the market. 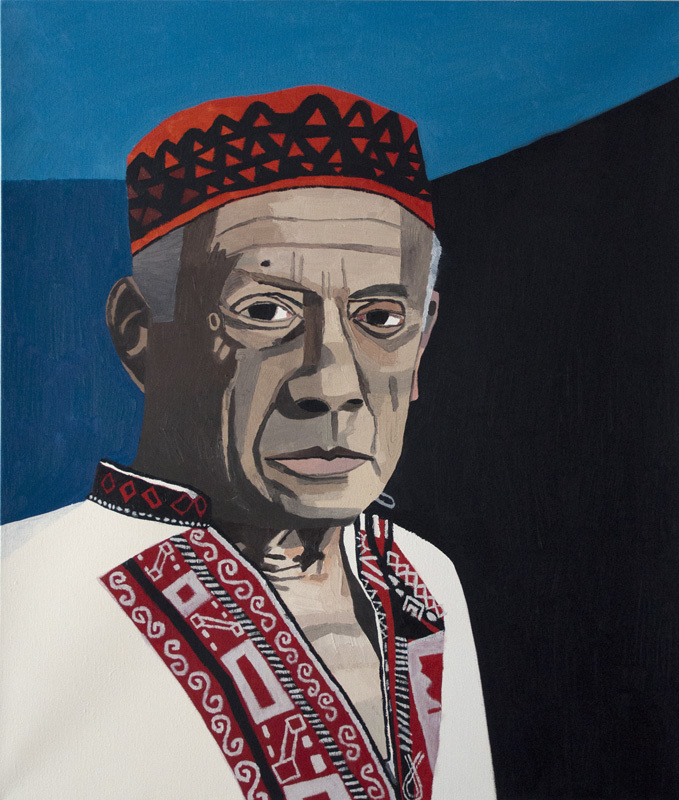 Among the many highlights from our exhibition are the famous 1979 Polaroid Self-Portrait by Chuck Close and a portrait of Picasso by Jonas Wood. This is perhaps Wood’s most important painting to date. We will also show a group of vintage dye transfer prints of American 1950s nuclear tests. Henri Sauvaire (1831-1896) was an accomplished photographer with extensive knowledge of the Middle East. We will show the only known complete set of 73 loose full margin prints from Sauvaire’s photographic expedition to the Dead Sea. These were printed by Charles Négre in 1866 from the paper negatives made during one of the most elaborate and costly photographic journeys of the 19th century. Sauvaire’s project was funded by Honoré d’Albert Duc de Luynes (1802 ‑1867), an archaeologist and patron of the arts who was dedicated to scientific and cultural research and publishing. Our set had been treasured by his family to this day.